​​Zion Williamson, we don't deserve you. On Saturday night, Williamson helped Duke come away ​with a head-turning 81-71 win over Virginia. The play of the night? It no doubt had to be this Williamson block on a 3-point try from Virginia. 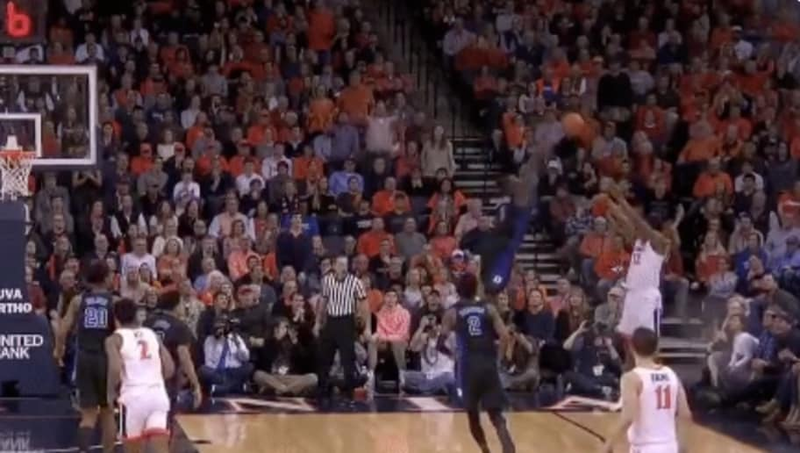 ​​This is just insane from Williamson, who looked like he was about five feet in the air to swat the 3-point try away. Williamson is having one of the best freshman seasons we've seen in years for the Blue Devils. He's widely expected to be the No. 1 pick in the next NBA Draft. And if he keeps making plays like this, teams might as well start tanking now to improve their chances of landing him.